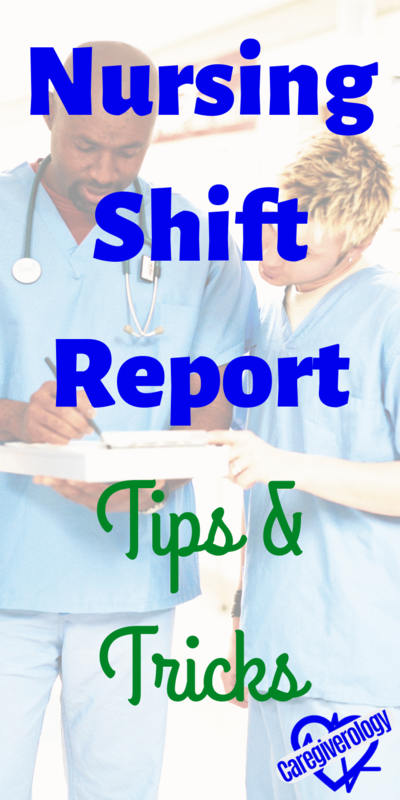 Nursing shift report is something that all registered nurses (RN) should know how to do effectively in order for proper care to be passed on to their patients, even while they aren't directly taking care of them. Without it, patients wouldn't be able to continue to get consistent and proper care. Most of this information applies to certified nursing assistants (CNA) as well. Is there only one way to give a correct nursing shift report? Of course not. This makes for a difficult topic because many nurses have different approaches. So yes, there can be multiple correct ways to go about giving it but there are also some guidelines everyone should follow. A newer practice that is taking the medical field by storm is bedside shift report. 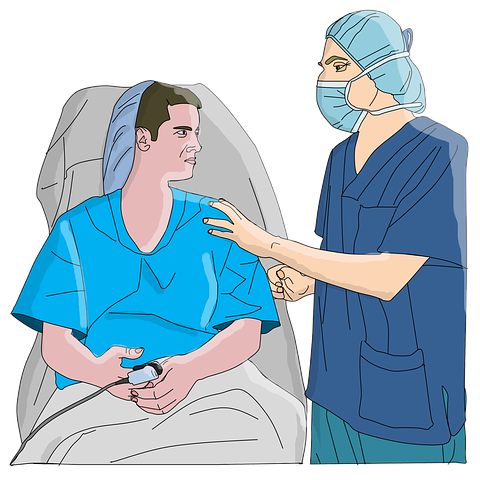 This is the practice of giving report to the next nurse in the patient's room so the patient is involved and knows what is being discussed about their care. Although everyone may not completely agree with or enjoy practicing this new trend, myself included, it is becoming the standard in many facilities. Evidence has shown that patients appreciate this approach and it assists in communicating what is being done for them. Keep in mind that depending on the patient, a good nursing shift report may take quite a bit of time. How much time? It really depends on the patient. 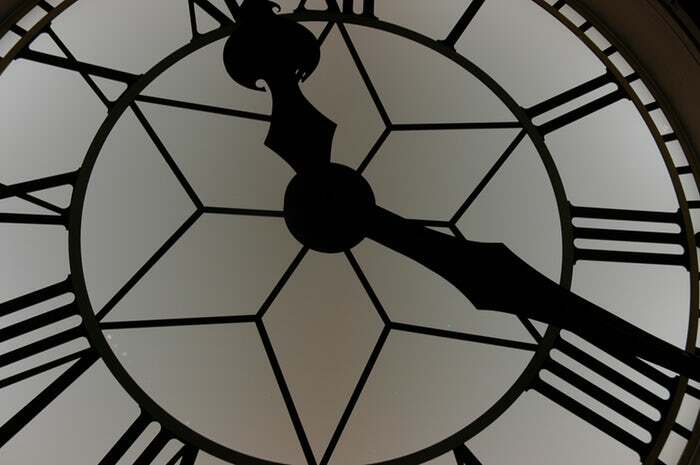 Some may only take a minute while others could take as long as 10-15 minutes. This can be an issue since not only has the nurse giving the report is likely exhausted from working all day or night, the oncoming nurse is ready to get their shift started and has multiple things running through their mind. Patience is a must. This makes showing up to work on time all the more important. Unlike some jobs, nurses cannot leave until the next one arrives and report is given. Even showing up a few minutes early is a nice gesture. Too early is much better than too late. When giving report, make sure the oncoming nurse is able to keep up. We often get anxious and ready to go, so we try to rush through and don't give the other nurse enough time to write down what is being said. Something important can easily get lost in the shuffle if we aren't careful. If you missed something that was said, ask them to repeat it. A good rule of thumb is to pass on what is abnormal in the patient's status. Some patients have such an extensive history that if you tried to cover everything about them, report would take hours. What is the reason they are here and what is pertinent for the care currently being given to them? For instance, going over lab values that are within normal range is a time waster and doesn't need to be verbalized. However, if the patient has a low potassium (K) level that needs to be replaced, that would be good to know and pass on. One issue that can arise is the dayshift and nightshift controversy. Keep in mind that taking care of patients is a 24 hour, around the clock job and should be treated as such. Not everything is always going to get done on time every shift for every patient. It's just not realistic. If something didn't get done on the previous shift, then it should be followed up on by the next shift. Of course there are exceptions to where the previous nurse should take care of something before they leave, but we are all in this together and should work as a team. Something I like to do before I leave is to make sure all of my patients are medicated, especially when it comes to pain medicine. There aren't too many things more frustrating than having multiple patients at the same time asking for something they could have had on the previous shift. Just because you are told something in nursing shift report doesn't automatically make it true. In fact, there have been many times where what I was told in report had ended up being false. It should be investigated on your part to make sure it is accurate information. For example, if you are told a patient's lung sounds are clear, that doesn't mean you don't have to assess their lung sounds yourself. You are still responsible for the information you chart and pass on to other staff. The excuse of "That's what I was told" isn't a valid one. This also brings up the fact that you are learning the baseline of that patient. Say you were told the lung sounds were clear but when you assess them, they aren't. That doesn't necessarily mean you received false information. The patient could be deteriorating from their previous status. In that case, you can follow up and take action. 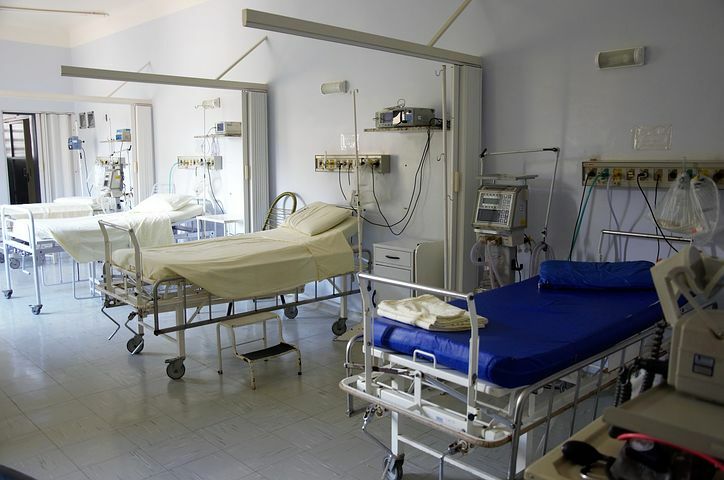 With semiprivate rooms, or rooms that have more than one patient, privacy issues can arise. Hipaa should not be violated under any circumstances. There are certain things that shouldn't be said loud enough for other patients in the room to hear. This is also true about family and visitors in the room. Just because they are in the patient's room doesn't mean they should know everything about them. If the patient doesn't want their visitors to know about their status, that's their choice and we have to respect that. So what exactly should be covered? I'll save the specifics for other pages such as these on AIDET and SBAR, which are both great tools for communication, as well as this checklist. It is quite a list, but keep in mind that every topic doesn't necessarily relate to every patient. Unfortunately there isn't a simple list that will cover everything. It's more complicated than that.